The FINANCIAL -- Georgia is economically unprepared to switch to European emission standards in a short-term perspective. Meanwhile, the country is 68th out of 124 countries by pollution index. Over 90% of cars remain older than ten years. Import of cars has dropped by over 7% due to recently stated Euro IV regulations in Azerbaijan. Car dealers should adapt to the new regulations in Azerbaijan, the Ministry of Economy recommends. Georgia will continue to have no existing Euro-level vehicle emission standard for light duty vehicles. “At present, Georgia is not ready for European emission standards. Such measures will have quite a hard impact on the population,” an official from the Ministry of Economy and Sustainable Development of Georgia told The FINANCIAL. “At this point I am not in favour of any type of serious intervention. Driving cars released earlier than 2005 should not be banned. A large part of our population uses cars for economic activity, so the wellbeing of their families would, in such a case, significantly worsen,” said Zviad Kharebava, Business Sector Consulting Director at PMCG. “Development of the economy and increasing consumer welfare should precede the implementation of Euro IV regulations,” said Giorgi Tsimintia, Head of the Board at the Association of Young Economists of Georgia. European emission standards define the acceptable limits for exhaust emissions of new vehicles sold in EU member states. The emission standards are defined in a series of European Union directives staging the progressive introduction of increasingly stringent standards. According to Numbeo.com, the world’s largest database contributed data about cities and countries worldwide, Georgia is 68th out of 124 countries by country pollution index. The pollution index in Georgia amounts to 64.05 and is the lowest in the region. With 71.03 Ukraine is the 84th country, Armenia is 90th with an index of 72.44, Russia - 92nd with 73.46, and Turkey - 93rd with 73.52. According to the 2012 data of the Ministry of Internal Affairs of Georgia, more than 90% of registered cars were manufactured earlier than 2005. 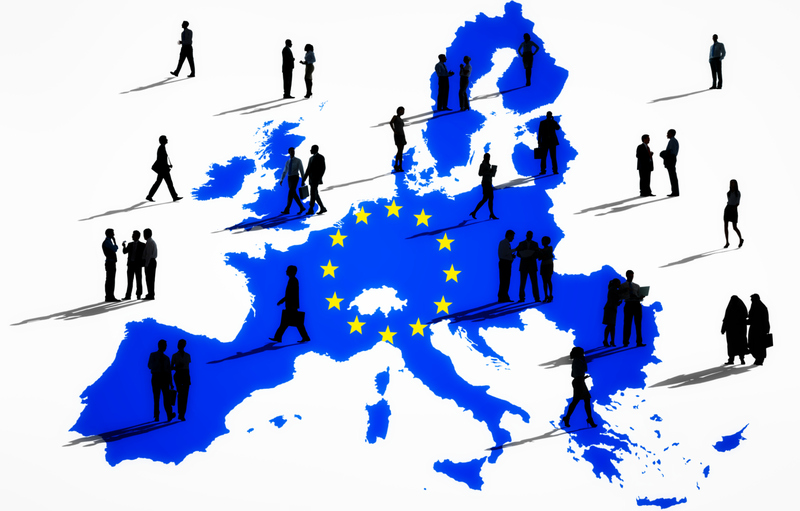 “It is hard to predict when the Government will decide to switch to Euro IV regulations. We can assume that it will happen in the next 2-3 years. Introduction of such regulations in Azerbaijan will simplify our transition to it. Over 70% of imported vehicles have been re-exported to Azerbaijan. After its implementation, importers will reduce the import of cars produced earlier than 2005,” said Kharebava, PMCG. On 15 January, 2014, Azerbaijani Prime Minister signed the order on the country’s transition to Euro IV ecological standards. According to the decision, the Euro IV standard will apply from 1 April, 2014, to vehicles imported and manufactured in Azerbaijan to reduce the emission of vehicle pollutants into the atmosphere and improve the environmental situation in the country. Azerbaijan’s decision carried a huge impact for Georgian auto dealers. The majority of them stated that they were not informed about the upcoming decision. Re-export in Azerbaijan amounted to 10,621 in January-May 2014, down from 15,573 from the same period of the previous year. Comparative figures show a reduction of 32%. In total, Georgia re-exported 23,510 vehicles during the first five months of 2014, down from 25,079 from the same period of the previous year. “Georgian auto dealers are facing significant problems regarding the loss of the Azerbaijani market. In this regard the Government can state a temporary grace period on custom clearance,” said Tsimintia, Association of Young Economists. “Dealers should be responsible for their own awareness themselves. However, if the Georgian Government knew about Azerbaijan’s decision it would have been good to warn dealers about this possible risk,” Tsimintia added. “Auto importers must take into account the new requirements and switch to Euro IV standards and the re-export of environmentally-friendly vehicles. They are recommended to acquire new export markets as well. At present, there is simply no other way,” said an official from the Ministry of Economy. “Azerbaijan made this decision in January 2014. It immediately spread via the media. The ban went into effect on 1 April, 2014. During this interval of time dealers should have taken into consideration the new regulations of Azerbaijan and adapted to them,” he added. “It would have been good if dealers would have had this information earlier. As far as I know, local newspapers published this information several months ago, but apparently it was not enough,” Kharebava told The FINANCIAL. According to the latest data of the United Nations Environment Programme (UNEP), contrary to Georgia, in Moldova increased taxes are applied for vehicles older than 3 years. Import duties and toll fees are applied based on engine volume. On its side, Ukraine has significantly higher registration fees for older vehicles. Restriction on the import of older vehicles (formerly 8 years old) was lifted due to WTO membership requirements. From 2006 the registration of light duty vehicles below Euro II is forbidden. Excise taxes are lower for vehicles with smaller engine volume and lower CO2 emissions. The Government plans to require Euro V vehicles from 2016.